Los Angeles is obsessed with burgers. There have been a slew of burger joints (Umami, Go Burger, Stout, Kalbi Burger) opening up all across town in the past couple years. LA Weekly recently did a segment on 30 Burgers in 30 days. 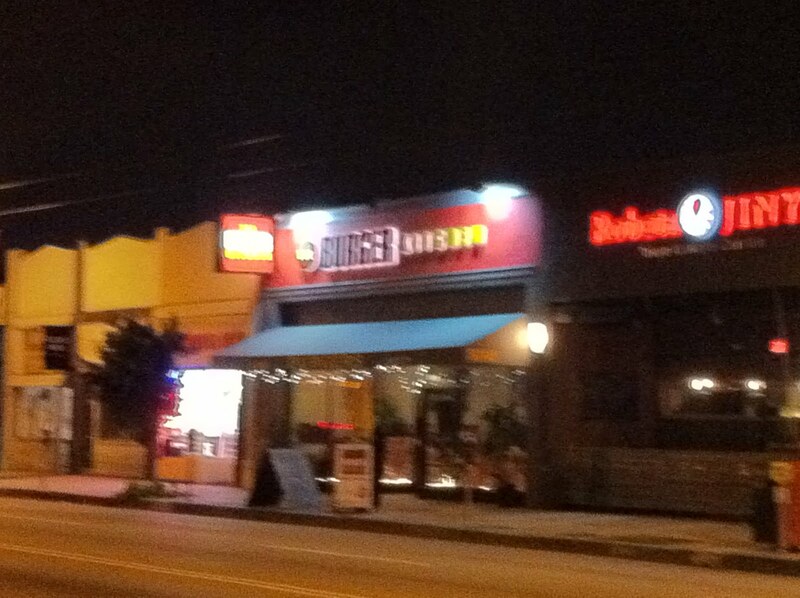 I was really looking forward to checking out Burger Kitchen when it first opened last year. It's an Australian father-and-son restaurant that serves up Pat La Frieda Dry Aged patties and Aussie meat pies on the menu, along with some good craft beers. 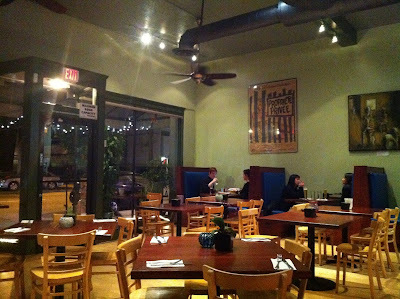 The restaurant is located on West 3rd Street. It's not a large space but it's cozy and casual. They offer a nice selection of craft beers. 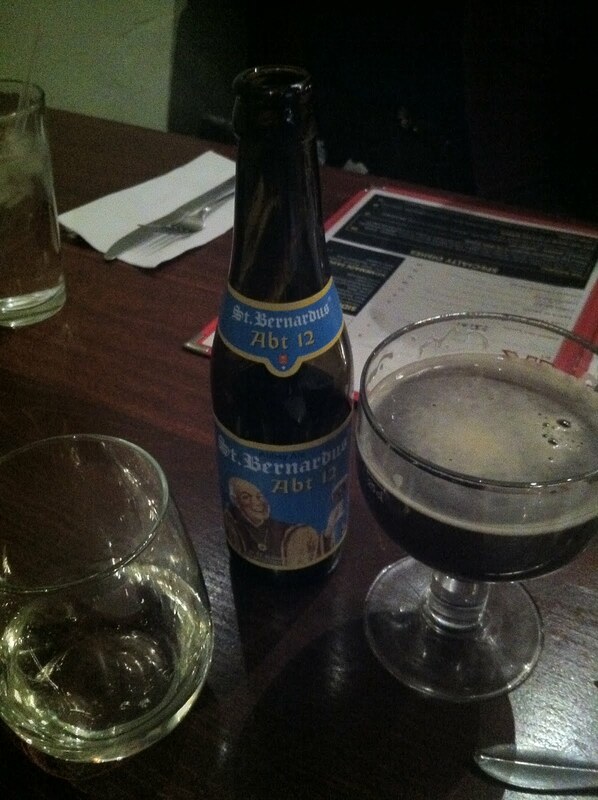 Unfortunately they ran out of La Chouffe so we settled for a St. Bernardus and a glass of Coppola Pinot Grigio. Would have been nice if the beer was served in the appropriate beer glass. Our sides came out before the burgers which was actually fine by me. I liked having something to munch on before our main course. The sweet potato fries were actually pretty bad. They were soft and soggy. No crisp to it. 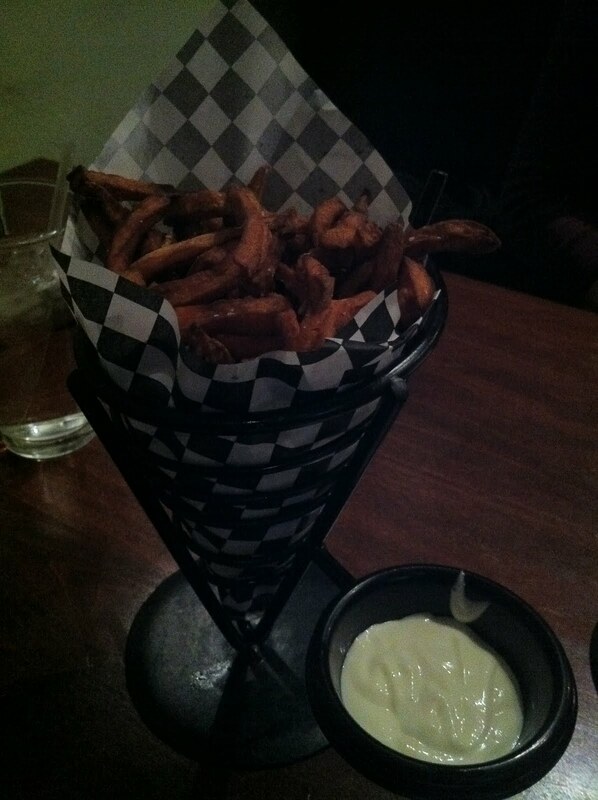 The only consolation was the garlic aioli that was served with the fries. 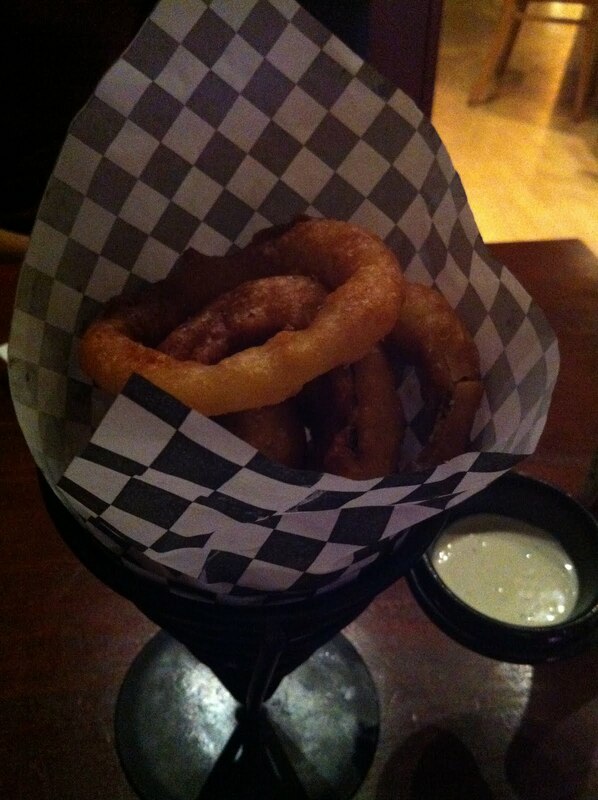 Thankfully they redeemed themselves with the beer battered onion rings. The onions were large but still cut thin, and the batter was light and crispy. It only made me wonder if the bad fries had been a fluke. 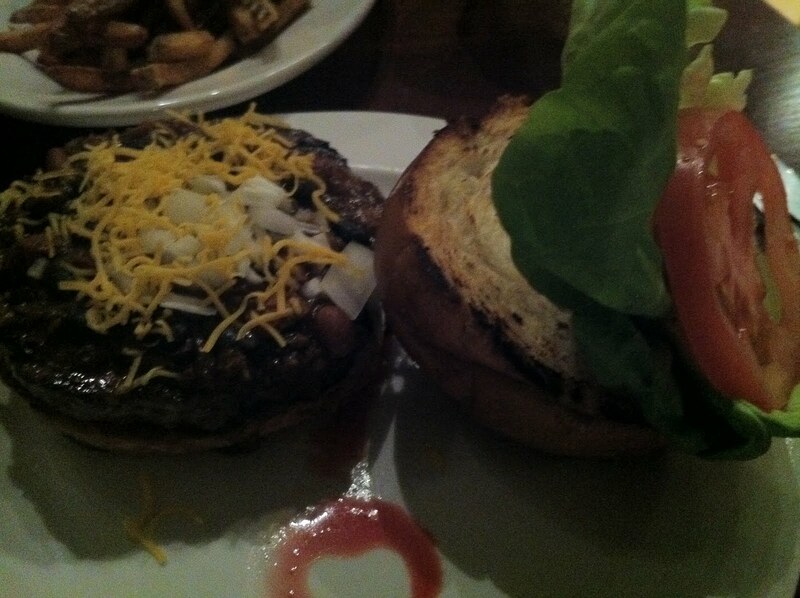 The Natural Burger included the Pat La Frieda patty which is a 40 day, dry-aged prime mix. 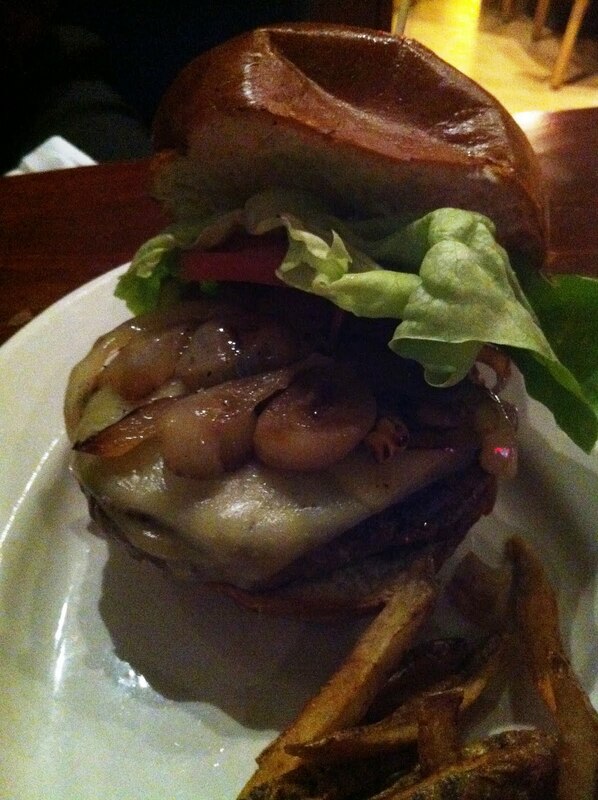 It was served on a toasted brioche bun with romaine lettuce, tomatoes, onion and aged white cheddar cheese. The patty itself was juicy and dripping with fat. Not my cup of tea but my friend enjoyed it. However, the accompaniments weren't anything special. The onions weren't grilled enough or caramelized. They tasted half raw. The other toppings were also just ordinary. Additionally, the bread was a bit too thick and dry. I wouldn't consider this to be better than most other gourmet burgers since apart from the patty, it was quite generic. And it definitely wasn't worth $26. The fries were crispy though. The Texas Chili Burger was also disappointing. I thought there was very little chili on the burger. It was just a thin layer. I had expected a generous scoop, with chili dripping off the burger. It wasn't bad per se, but it wasn't something that I'd order again. I really wanted to support this family run establishment. The guy working at the restaurant was friendly and helpful, but sadly, I wasn't impressed with the burgers. I didn't think it was anything special and that the Natural Burger was worth it. 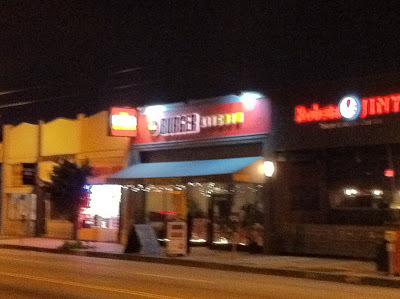 In a city saturated with gourmet burger joints, Burger Kitchen really didn't shine. Sigh. Perhaps I should have gotten the meat pie. It looked good. Totally agree on all fronts. 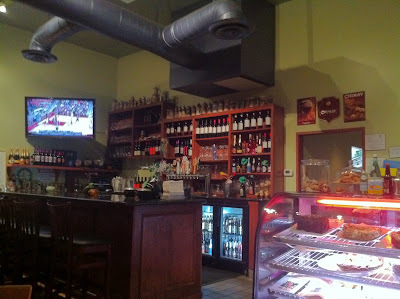 current burger to do list: Cafe Stella, Villa Blanca (don't ask), Petrossian's, Le Saint Amour. Coupla of 'em actually your side of town. Wanna do some together? No foie gras involved. Eek that's so disappointing! Glad I satisfied my burger fix at Golden State instead of Burger Kitchen last Friday. I was rather underwhelmed by this place, too. Like everyone else, I was unimpressed by this place as well. Tony, I'd do a burger marathon if you want to knock those places out in one day. We have changed our menu to all Kobe burgers, have a new executive chef from some of the top restaurants in town, and now have over 100 craft and imported beers. We made many mistakes in the past and I hope people will give us a second chance. 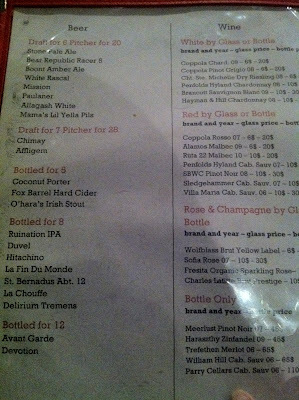 I am sure you will be pleasently surprised, if only for the vat selection of beer.